If you are planning a trip abroad in the coming year, you will need to make a decision about where you want to go. There is so much opportunity for holidaymakers these days that the possibilities are endless. You may want a relaxing break where you can lounge around doing nothing. Or you might want a more tourist oriented experience where you can travel around, and sight see. One of the most popular and exotic places to holiday is in Asia. The Far East is such a mysterious and beautiful place that it is sure to have something to offer for everyone. If you want to experience the finest in hospitality and culture, you could do a lot worse than visiting Asia. Asia comprises of so many wonderful and exotic countries. Japan, the centre of the world’s technology lies in the East of the continent. Then there is the Maldives one of the up and coming countries in the world right now. Then there is Hong Kong, formerly a part of the British Empire and handed back to China in 1997. With its vibrant, cosmopolitan cityscape Hong Kong is a great introduction to Asia. But, of course, no discussion about Asia would be complete without mentioning China. The world’s most populous country, China is surely the heart of Asia and the jewel of the Far East. If you want a holiday filled with excitement, adventure and mystery then you should visit China. To do this, you may find that you need to sort out your travel options, and this will first involve sorting out a China visa application. This will allow you access to the country for either business or pleasure. It will detail the length of time you can expect to be able to stay there before your visa expires. Once you have sorted out a visa you can start getting into the planning of your holiday. There is so much to see and do in China that you are almost spoilt for choice. Let’s take a look at the top 6 reasons to visit this wondrous country. China is a developing and emerging market. The country’s economy seems to flourish whatever is going on in the world. This has led to China looking set to become the second largest travel and tourism economy in the world after the United States. Their constant development and growth as a world superpower has led to a thriving economic market. This in turn has seen an increase in leisure and tourism and has made China an attractive destination for Westerners to visit. They say travel broadens the mind and heightens experiences. If this is what you are looking for from your trip then China is definitely the place for you. It will almost be a case of diving in at the deep end. The culture will be unlike anything you’ve experienced before. It may be the complete opposite of what you’re used to. But you should embrace this. You may find yourself amazed and humbled by the culture of the Orient. Sure the food will be unfamiliar, and the locals may not speak your language. But you should embrace this, enjoy the experience and grow from it. The trip to China will provide you with a once in a lifetime opportunity. The opportunity to visit one of the great Wonders of the World by travelling to the Great Wall of China. You can hike the wall and camp out there. Soak up the atmosphere and experience one of the seminal pieces of the ancient Chinese Empire. Built during the Ming Dynasty the wall was often used for trade and fortification. Though it has gone through extensive rebuilds, it is still a breathtaking sight. 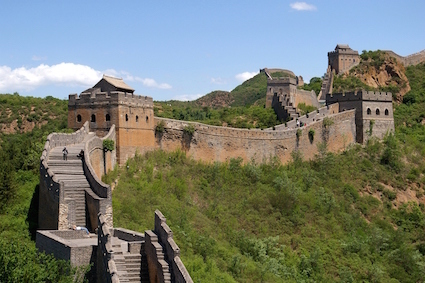 The entire wall structure, spreading across the northern borders of China is over 13,000 miles in length. Organised excursions along areas of the wall are popular, and you should absolutely consider this. How many people can say they’ve walked the Great Wall of China?! We’ve all heard of the famous Chinese cuisine. We may all have sampled it at some point. Indeed Chinese food has become a global sensation, popular in the UK and USA. How great then that you can sample Chinese food in China, made by Chinese people. But there are also more exotic options. The kind of food you would not find at your average Chinese takeaway. You are almost certain to try an array of dishes you’ve never had before. This will add to your cultural experience, and your taste buds are sure to thank you for it. If you are one of the more faint hearted then there is a selection of European restaurants and cuisines as well. You may feel more comfortable trying food that you are familiar with. Then perhaps you might transition into the local cuisine later in your trip. 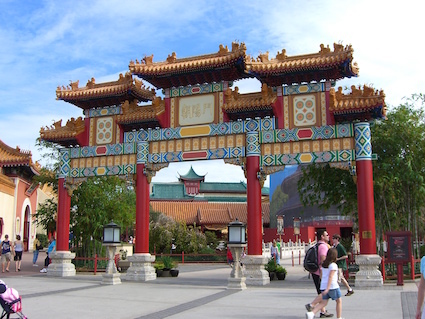 One of the most attractive lures of China is the world famous Forbidden City in Beijing. It was the Chinese imperial palace during the Ming Dynasty and is the largest ancient palatial structure in the world. With stunning architecture and breathtaking beauty, the Forbidden City sums up China. It is large, captivating and has many areas of deeper hidden beauty. A trip to visit the essence of ancient Chinese culture and architecture is a must. China is an inexpensive country to visit. If you are travelling from the West, the exchange rate is even better. Everything from shopping to accommodation to food is cheap in China. At least it will prove to be much cheaper than you are used to. You can get a meal out for less than $10.00 (£6.00), and transportation works out to be mere pennies. You may have to pay a lot to fly there for your holiday but once you are in China, you should be able to get comfortably by on very little money per day.